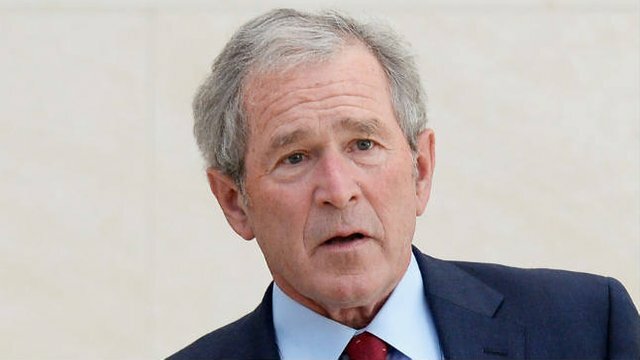 IN A result the whole world can celebrate George Bush’s Republican Party has been soundly defeated at the US midterm elections. The Democrats have won control of both the House of Representatives and the Senate, and embattled US defence secretary Donald Rumsfeld has resigned. All up, the Republicans lost 26 seats in the House and six seats in the Senate. The result was, according to Bush’s best friend John Howard, a “technical knockout”. The reason can be summed up in one word: Iraq. A groundswell of opposition to the continuing occupation of Iraq has been building for over a year. Americans used this election as an opportunity to express their opposition to Bush’s failed war policies. The Democratic Party, which supported the war and which has been muted until recently in its criticisms of the occupation, has been forced to reflect the popular mood. “Local and state Democrats are scrambling to paint themselves as peace candidates even if they were previously ‘stay the course’ politicians,” said Virginia. She said the anti-war movement that has sprung up in towns and cities across the US has been the key to putting Iraq at the centre of the campaign. “There are many peace candidates running who are from true peace parties such as the Green Party, or are independents. There are several veterans against the war running in various local elections. This election result has the potential to transform global politics. Earlier in the year the Bush administration was openly talking about waging new wars, especially against Iran. But 2006 has seen two crucial turning points to dash US war plans. Firstly, in August, the US’ number one ally, Israel, was defeated by the a mass peoples’ resistance movement in southern Lebanon. The US considered Israel’s invasion of Lebanon to be a proxy war against Iranian interests. Israel’s defeat threw these plans into disarray. Secondly, the US election result has further dashed neo-conservative hopes for new wars or for a more aggressive strategy in Iraq. Underpinning these turning points has been the combined efforts of a determined resistance movement in Iraq and a growing global movement against US imperialism. The Iraqi resistance has continued to struggle against the occupation despite the threats of sectarian and religious violence. And in the US, the efforts of key activists like Cindy Sheehan have been instrumental in turning the popular mood against Bush.